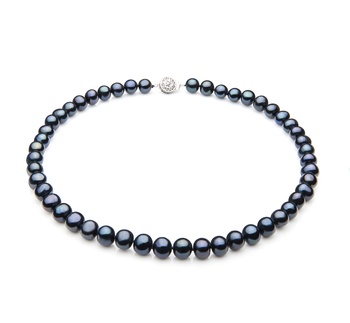 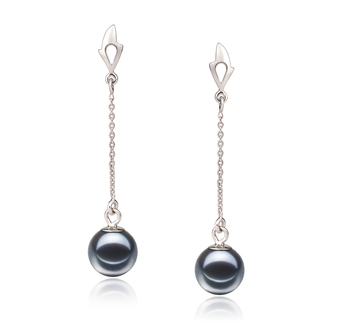 The Eldova Black takes the sparkling and bright nature of the 14K White Gold and the excellent AAAA lustre of the Black Tahitian Pearl and creates a dazzling showcase for the spiralling pendant to work its magic. 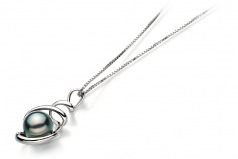 The beautiful and unique Black Tahitian Pearl hoovers slightly above the bed of the magnificent pendant. 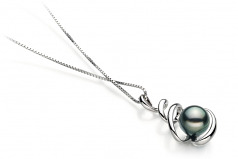 In all its glory, the Tahitian Black Pearl and 14K White Gold Pendant Combine and Clash is glorious and sparkling rainbows of colours with each twist of the pendant or change in the sun’s direction. 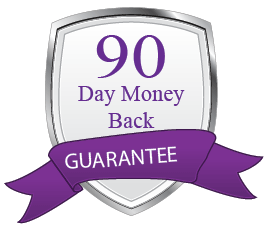 They make a great team and will work wonders on your wardrobe. 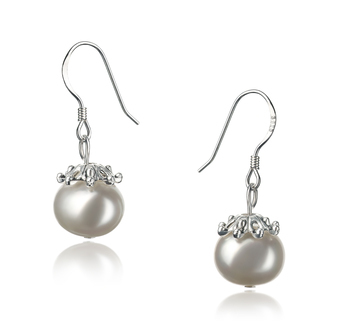 The clashing black and Silver/White colours make them a great choice for all hues and occasions. 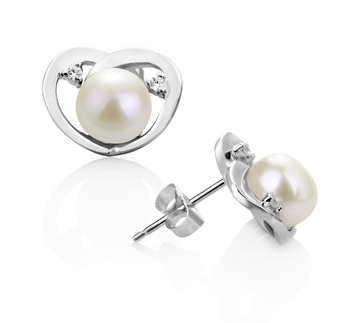 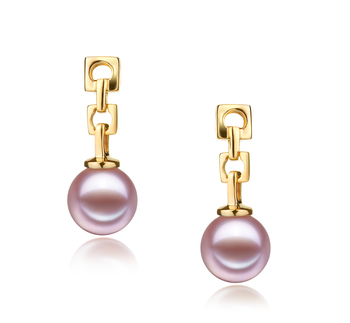 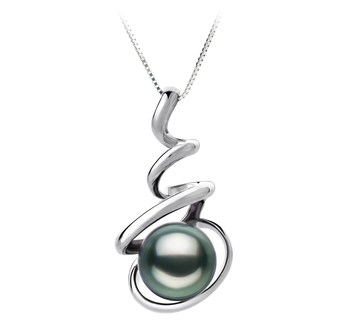 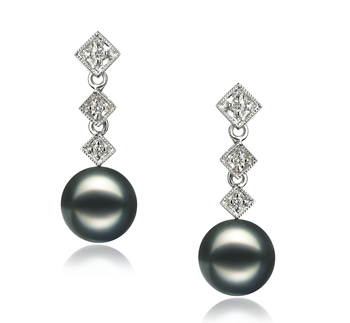 From casual to formal, this pearl pendant is an excellent choice.